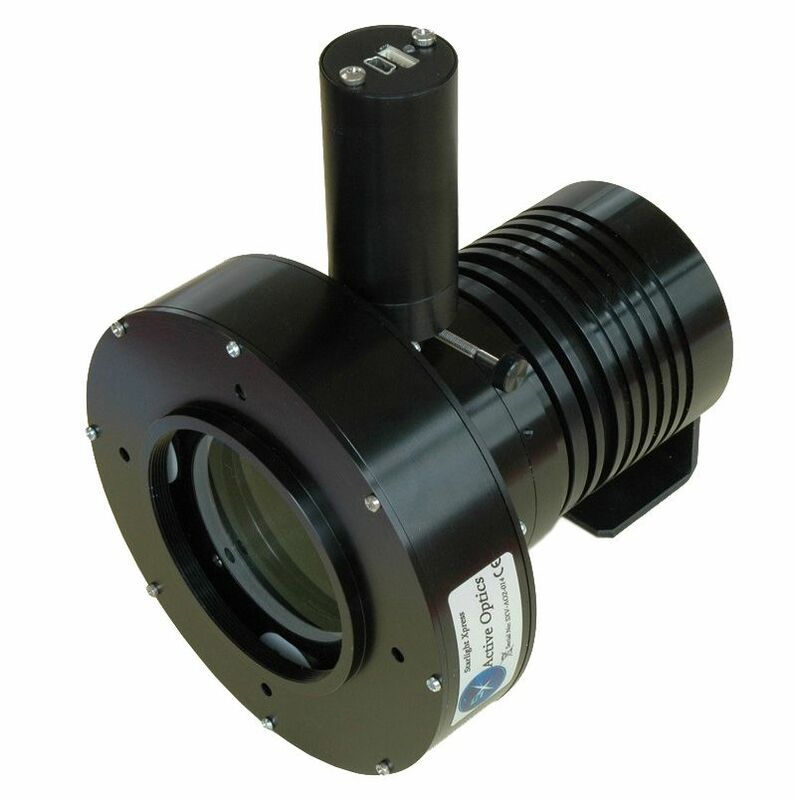 The SXV-AO-LF active optics system provides excellent Image stability to give best results with most optical systems and mounts by using a high speed tip-tilt optical window to overcome rapid gear errors. It is very effective at stabilising the effects of even difficult mounts. The AO assembly uses an off-axis autoguider, such as the SXV guide head, and provides accurate positional feedback to the control software. High Speed corrections of the star field postion are generated and applied, without any need to move the mount, thus avoiding the delays associated with conventional guiding. Unlike cameras with an integrated guider chip, the OAG puts the guide camera ahead of any filters that the user fits into the recess provided and so guiding sensitivity is always at maximum. The guide camera mounting is designed to be parfocal with an SX camera when used in this combination - fine focus adjustment is provided by moving the threaded guider mount along the prism tube. If you do not need the OAG barrel (e.g when using a camera with a built-in OAG or guide chip), you can fit the 72mm or T adaptor directly onto the rear of the AO assembly. The normal AO OAG unit is not required for this option. 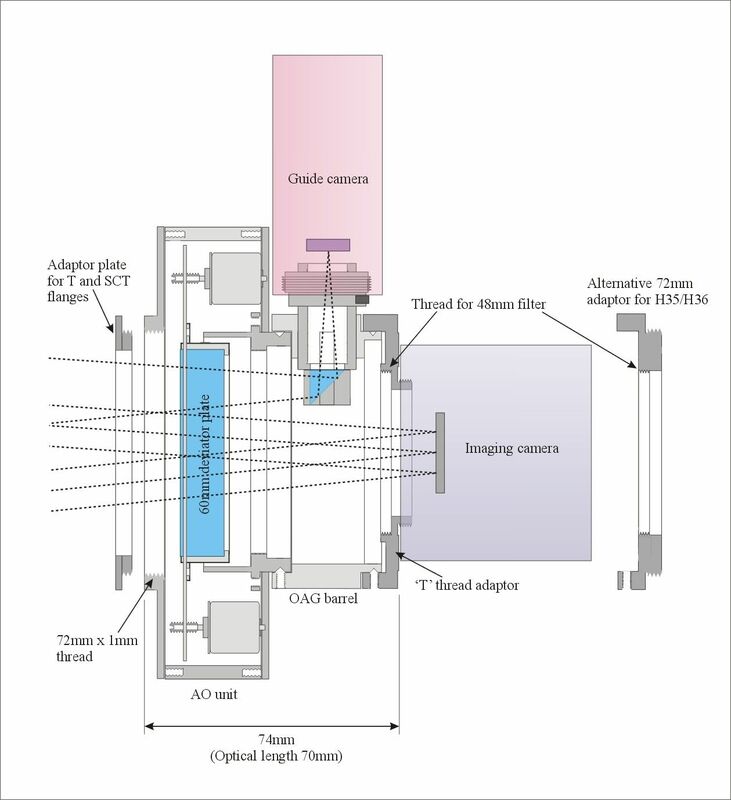 Image tracking and stabilisation using a high speed tip-tilt optical window. Fast tracking speed of 5mS per increment. Overcomes rapid gear errors to stabilise even difficult mounts. Mount control output for correcting large drive errors while maintaining AO stabilisation. Off-axis guider assembly (optional) for use with an SXV guide camera. May be used to image stabilise many other makes and types of camera, given suitable control software. Clear aperture of 60mm for up to 35mm full-frame size chips. Short optical length - 74mm with OAG, 38mm without (add 6mm if front end adaptor is used). Very low light loss (~2%) from the multicoated optics. Filter threads for adding 48mm narrow band. IR blocking or pollution rejection filters without affecting the guide camera sensitivity. Serial RS232 control via the computer or SXV splitter box. Parallel control available. Low power consumption. Less than 600 mA at 12v DC when moving - 50mA quiescent current. Compact and lightweight - only 132mm in diameter x 32mm long - less than 700 grams load on the 'scope. 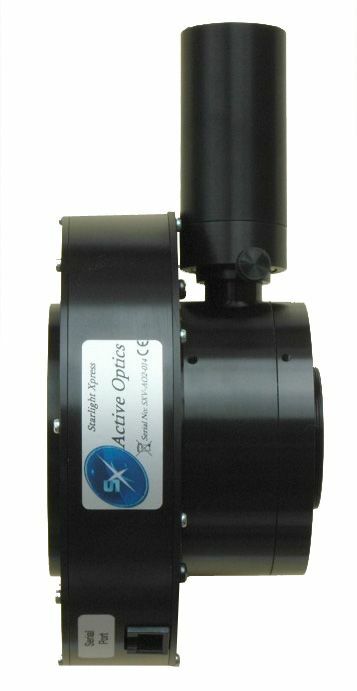 The SXV-AOLF should be used with the off-axis guider assembly for the best results with most optical systems. 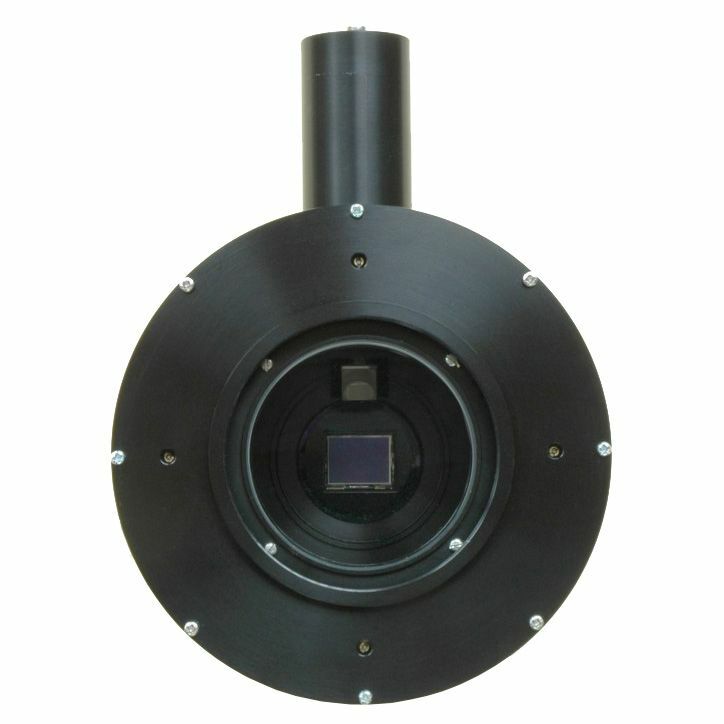 This combination uses an SXV guide head or Lodestar to view the edge of the telescope field via a 10mm square prism and provides accurate positional feedback to the control software. A side view of the AOLF assembly. The SXV-AOLF can also be used with the 'Ultraslim' OAG and filter wheel assembly. In this case, you do not need the OAG for the AO unit, just the T mount adaptor to connect the AO to the OAG, as seen above. You will save about 27mm of back focal length if you use this method. STAR2000 cameras may be used directly without the OAG, but the AO correction rate must be kept reasonably slow, or amplifier glow effects may become a serious issue. A front view, showing the imaging and guide camera CCDs, along with the input and output connections. A 2x enlarged clip from an SXV-H9 image. Ten minutes with a C11 at F10 using mount guiding only. Another clip taken a few minutes later with the AO switched on and operating at 3 updates per second. Here are some 'extreme' images from an Ultima 2000 on a fork mount with poor polar alignment and rapid gear errors. The camera was an SXV-M8C and the images have been resampled to 50% of full size for display.